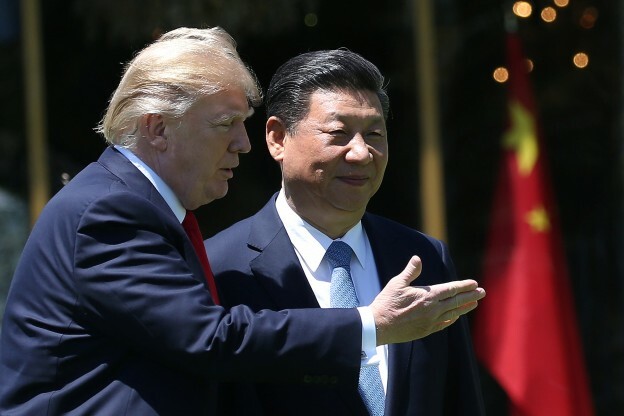 In the shadow of the recent summit between Donald Trump and Xi Jinping, onlookers are eager for clues to the future of Sino–US relations and US policy in the Asia–Pacific. In the past context of a fairly stable US policy approach, China has developed entrenched perceptions of US policy, grounded in China’s assessment of its own national interests. Even when Sino–US relations are at their best, many in China tend to “blame” the United States—or, at a minimum, distrust it—for reasons that reflect basic divergences between the two countries’ national identities. This article assesses critiques of US global, regional, and bilateral policies through four analytical lenses: ideology, international relations, civilizational values, and regime stability. Though the future of US policy is uncertain, China’s national identity will continue to drive its perceptions of its national interests and shape its views of bilateral Sino–US relations, the Asia–Pacific region, and its position in the international system. The blame game is unlikely to end anytime soon. At the broadest level, many Chinese international relations analysts view the United States as a hegemonic power that is trying to maintain its dominance over both the Asia–Pacific region and the global world order, while preventing China, an emerging great power, from taking its rightful position as a regional and global power. While these claims were once limited to the Asia–Pacific region, Chinese ambitions and confidence have grown substantially in the aftermath of the global financial crisis, prompting Chinese analysts to assert their right to rewrite the rules of the global system. Given the view that the United States perceives itself to be competing with China, Chinese analysts believe that the United States is determined to preserve its hegemonic position and prevent China from executing its rightful rule-making power. From this perspective, the United States seeks to perpetuate the existing world order, which it designed to advance US national interests and institutionalize Western values. In the Chinese view, however, some aspects of the current world order are “inequitable” and “irrational” and require reform because they prioritize the values and interests of Western great powers over those of emerging states.3 Chinese analysts emphasize that they do not seek to overturn the existing world order (and criticize US analysts who make such alarmist claims), but instead, they seek to reform the order from within as an equal partner to the United States.4 Convinced of the legitimacy of their demands for rule-making authority, they are indignant about what they perceive as efforts by the United States to constrain their behavior. In addition to asserting their right to set the rules in existing international organizations, the Chinese government has established alternative institutions, most notably the Asian Infrastructure Investment Bank (AIIB) and the still-under-negotiation Regional Comprehensive Economic Partnership (RCEP), in which it has greater authority. China is also taking a more active role in issues of global governance, including climate change. Finally, Chinese analysts perceive US efforts to shore up relations with key allies like South Korea and Japan as part of an effort to maintain US regional hegemony by encircling China, inspired by the tactics of the Cold War.10 From this perspective, US support for Japan’s “new security laws,” the revised US–Japan defense guidelines, and Abe Shinzo’s revision of Article 9 are tactics deployed to more effectively contain China’s rise.11 Many Chinese experts are similarly convinced that US efforts to strengthen its alliance with South Korea, including the recent decision to deploy Terminal High Altitude Area Defense (THAAD), also reflect a desire to limit China’s regional power. Chinese observers worry that the US system of alliance extends beyond key East Asian alliances to include India and ASEAN (reflecting, of course, the greater reach of China’s military power).12 Analysts further argue that US attempts to strengthen its regional alliance system extend beyond its bilateral relations. According to Liu Qing, the United States has replaced the traditional hub-and-spokes model with a new approach that encourages increased cooperation between its alliance partners, such as Japan and Australia. He adds that the United States prioritizes multilateral security mechanisms, such as US–Japan–Australia trilateral cooperation, that could support a coordinated military strategy in the event of a regional conflict, presumably related to China’s maritime ambitions.13 Others worry about the resumption of the US–India–Japan–Australia quadrilateral security dialogue.14 In sum, the belief that the United States seeks to maintain its global and regional hegemony drives Chinese interpretations of its behavior. Chinese observers also believe the United States has contributed to worsening Sino–Japanese relations by supporting Japan’s rightward shift under Abe. According to An Chengri and Jiang Lilong, the United States has long encouraged Japan to bear more of the burden for regional and global security and has urged it to move beyond financial and logistical support to more active military participation.32 Chinese analysts sharply criticize US support for Abe’s successful expansion of the scope for Self-Defense Forces activities under the 2015 revised US–Japan defense guidelines and Japan’s elimination of the ban on collective self-defense.33 Deeply concerned about the implications of a more assertive Japan for Chinese national security and regional stability, they blame the United States for enabling, and even instigating, Japan’s pursuit of a “normal” military posture.34 Chinese experts also criticize US support for Japanese claims to the Diaoyu/Senkaku Islands. Following the Japanese nationalization of three of the islands in 2012, US officials repeatedly asserted that Article 5 of the US–Japan Security Treaty encompasses defense of the islands, a policy recently affirmed by Defense Secretary James Mattis.35 Although Chinese observers recognize that the dynamics of the Asia–Pacific region are complex and that neighboring states act to advance their own national interests, they, nevertheless, one-sidedly blame the United States for regional instability. Widespread Chinese skepticism over the universality of Western values and the view that Chinese and US/Western concepts are at odds strengthen the Chinese perception of competition between China and the United States for the future world order. Wang Jisi argues that the United States perceives a competition between “two orders,” the existing US-led international order based on Western values and the Chinese domestic order based on Chinese values.55 The incompatibility between these two value systems underlies US fears that it might lose control of the global system as China rises. Drawing on the experience of its Cold War ideological struggle against the USSR, the United States fears that China would impose its own values, undermining the foundational principles of the existing international order. This fear strengthens US resolve to prevent China from gaining any rule-making authority.56 Consequently, the Sino–US struggle over the right to lead the future world order turns, in this view, on the underlying incompatibility between their fundamental values. In this light, Chinese authorities are particularly sensitive to US support where CCP legitimacy is weakest, such as in the autonomous regions of Xinjiang and Tibet. They are also well aware that many “separatist” groups have external leaders and institutions located in the United States. In the wake of the 2009 Urumqi riots, Chinese media blamed US-based Uyghur activist Rebiya Kadeer and the World Uyghur Congress she heads for instigating the violence.60 (In 2015, the National Endowment for Democracy offered a grant of $260,000 to the World Uyghur Congress, and another $295,000 to the Ugyhur American Association.61) Meanwhile, the Chinese government is critical of US support for Tibet. Chinese observers blame the United States for encouraging “separatist” forces who instigated the 2008 Tibetan riots, and who continue to support Tibetan independence.62 Obama met with the Dalai Lama four times. The United States and China maintain an uneasy agreement on the terms of these meetings and the United States is careful to state that it views Tibet as part of China. Nevertheless, on the occasion of the 2016 meeting between Obama and the Dalai Lama, Chinese Foreign Ministry Spokesman Lu Kang called the Dalai Lama “a political exile who has long been engaged in anti-China separatist plots under the cloak of religion,” and asserted that “if the US arranges such a meeting, it will send a wrong signal to the separatist forces trumpeting ‘Tibetan independence.’”63 The United States has also become a home to the Falun Gong movement, which underwent a CCP eradication campaign in 1999, and whose Shen Yun Performing Arts shows have become ubiquitous in major US cities over the past decade. Through the lenses of ideology, international relations, civilizational values, and regime stability, Chinese analysts find ample reasons to distrust the United States. These critiques of the impact of US actions on regional and global stability are longstanding and grounded in Chinese perceptions of their own national identity. This is not to say that most Chinese analysts are pessimistic about the future of Sino–US relations or the Asia–Pacific region. Many carefully emphasize the potential for successful cooperation. Nevertheless, the types of critiques identified here have endured for many years. As the Trump administration develops its approach to China and the Asia–Pacific, it remains to be seen whether these criticisms will persist, or whether a sharply different American interpretation of its regional and global objectives will help to alter Chinese perceptions. 1. “Full Text of Xi Jinping’s Speech on China-U.S. Relations in Seattle,” Xinhua, September 24, 2015, http://news.xinhuanet.com/english/2015-09/24/c_134653326.htm. 2. Liu Feitao, “The Strengthening of US Competition with China and the Future Trend of China–US Relations,” China International Studies, no. 1 (2016): 86, 92–93. 3. Liu Jianfei, “ZhongMei Xinxing Daguo Guanxi Zhong de Guoji Zhixu Boyi,” Meiguo Yanjiu, no. 5 (2016): 11. 4. Yuan Peng, “Shijie Xin Zhixu Huhuan ZhongMei Xinxing Daguo Guanxi,” Shijie Jingji Yu Zhengzhi, no. 9 (2016): 10; Liu Jianfei 2016, 13–14. 5. Zhang Wenzong, “Meiguo DuiHua Weishe Yu Xiepo Ji Zhongguo Yingdui,” Xiandai Guoji Guanxi, no. 12 (2016): 27; Yuan Peng 2016, 12. 7. Liu Feitao 2016, 80. 9. Liu Feitao 2016, 83. 10. See Liu Feitao 2016, 81–82. 11. Ren Weidong, “MeiRi Zai Wanhuo; Qie Wan Qie Tante,” People’s Daily Overseas Edition, April 25, 2014, http://paper.people.com.cn/rmrbhwb/html/2014-04/25/content_1419762.htm. 12. See, for example, Ding Cong and Sun Haoliang, “Qianxi AoYin Zai Anquan Lingyu de Shuangbian Guanxi Jianshe,” Heping Yu Fazhan, no. 4 (2016): 68–81; Chen Xiangmiao and Ma Chao, “Considering ASEAN’s Interests Regarding the South China Sea Problem and Its Policy Choices (Lun Dongmeng Dui Nanhai Wenti de Liyi Yaoqiu He Zhengce Xuanze),” Guoji Guancha, no. 1 (2016); Li Dongyi, “Zhongguo-DongMeng Guanxi Yu DongMeng Diquzhuyi Jinqi Hudong Jiexi,” Taipingyang Xuebao 24, no. 8 (2016): 40–52. 13. Liu Qing, “RiAo Guanxi Xin Fanzhan Ji Xianzhixing Yinsu,” Guoji Wenti Yanjiu, no. 5 (2016): 127. 14. Ding and Sun 2016, 81. 15. See, for example, Liu Jiangyong, “Chaoxian Bandao Jushi Yu Dongbeiya Kechixu Anquan,” Dongbeiya Luntan, no. 3 (2016): 4–5. 16. Wang Sheng and Ling Shengli, “Chao He Wenti Jiejue de ‘Shuangguizhi’ Xin Silu Tantao,” Dongbeiya Luntan, no. 3 (2016): 20; Yufan Huang, “Q. and A.: Yan Xuetong Urges China to Adopt a More Assertive Foreign Policy,” The New York Times, February 9, 2016. 17. Cheng Xiaohe, “Liufang Huitan Zaiyi: Yicheng Tiaozheng Yu Jizhi Jianshe,” Waijiao Pinglun, no. 4 (2016). 18. Liu Jiangyong 2016, 7. 19. Anne Gearan and Anna Fifield, “Tillerson Says ‘All Options Are on the Table’ When It Comes to North Korea,” Washington Post, March 19, 2017. 20. Liu Jiangyong 2016, 8–9. 21. Gerry Mullany and Chris Buckley, “China Warns of Arms Race After U.S. Deploys Missile Defense in South Korea,” New York Times, March 7, 2017. 22. Stephan Haggard, “The Most Important Korea Story of 2017: China, South Korea and THAAD,” Peterson Institute for International Economics, January 11, 2017. 23. Xia Liping and Nie Zhengnan, “21 Shiji Meiguo Nanhai Zhengce Yu ZhongMei Nanhai Boyi,” Shehui Kexie, no. 10 (2016): 28–40. 24. Chen and Ma 2016. 25. Xia and Nie 2016. 27. Wei Zongyou, “Meiguo Nanhai Zhengce Xin Fazhan Yu ZhongMei Yatai Gongchu,” Guoji Guancha, no. 6 (2016): 141–54. 28. Jin Canrong, “‘Nanhai Zhongcai An’ Hou Zhongguo Mianlin de Yali Yu Yingdui Zhi Dao,” Taipingyang Xuebao, no. 7 (2016): 51. 29. Zhu Feng, “ZhongFei Zhongcai de Panjue Jieguo Hui Gaibian Nanhai Jushi Ma?,” YaTai Anquan Yu Haiyang Yanjiu, no. 3 (2016): 2. 31. Jin Canrong 2016, 51; Kong Lingjie, “Predictions about the South China Sea Arbitration and Analysis of Its Influence on Our Country (Nanhai Zhongcai an Qianjing Yuce Ji Qi Dui Woguo de Jingxiang Fenxi),” YaTai Anquan Yu Haiyang Yanjiu, no. 3 (2016): 23–26; Liang Yunxiang, “Analysis of the China–Philippines South China Sea Arbitration Case (Zhong Fei Nanhai Zhongcai an Pingxi),” YaTai Anquan Yu Haiyang Yanjiu, no. 3 (2016): 27–29. 32. An Chengri and Jiang Lilong, “Riben ’Xinanbao Faan’ Ji Qi Dui Zhongri Guanxi de Yingxiang,” Riben Wenti Yanjiu, no. 3 (2016): 137. 34. An and Jiang 2016, 139. 36. Tang Qing and Feng Yanli, “Meiguo Ezhi Zhongguo de San Ba Ruandaozi,” Shijie Shehuizhuyi Yanjiu, no. 2 (2016): 102. 37. Zhang 2016, 27. See, for example, discussion of Japan’s values-based diplomacy under Abe in Li Xiaojun, “Riben Yu Yindu Heneng Hezuo de Dongyin, Yingxiang Ji Qianjing,” Taipingyang Xuebao 24, no. 3 (2016): 29–38. 38. Jian Taojie, “Baquan Wenhua Yu Wenhua Weixie,” Taipingyang Xuebao 19, no. 6 (2011): 25, 26 (quotes), 29; see also Liu Jianfei 2016, 16. 39. Sun Jie, “Yingdui Meiguo Wenhua Baquan de Zhongguo Zhanlüe,” Renmin Luntan, no. 11 (2016): 136; Wang Jisi and Kenneth Lieberthal, “Addressing U.S.–China Strategic Distrust” (Washington, DC: Brookings Institution, 2012). 40. Tang and Feng 2016; Li Jiaxiang, “Meiguo YaTai Zhanlüe Zhong Ezhi Zhongguo de Ruanshili Celüe Ji Qi Yingdui,” Lilun Daokan, no. 7 (2016): 110. 41. Tang and Feng 2016; Shen He, “Meiguo Wenhua Baquan Yu ‘Pu Shi Jiazhi’ Zai Woguo de Chuanbo,” Sixiang Jiaoyu Yanjiu, no. 1 (2017): 40. 42. David M. Lampton, Same Bed, Different Dreams (Berkeley, Calif.: University of California Press, 2001), 39–45. 43. Ming Wan, Human Rights in Chinese Foreign Relations (Philadelphia: University of Pennsylvania Press, 2013), 60. 44. Andrew Jacobs and Jonathan Ansfield, “Chinese Activist Chen Guangcheng Escapes House Arrest in China,” The New York Times, April 27, 2012. 45. Tang and Feng 2016, 102–104; Sun 2016, 136–137. 46. Shen 2017, 37; Sun 2016, 136–137; Jian Taojie 2016, 29. 48. “China’s Top Academy Teaches Marxism PHD Students,” Xinhua, March 29, 2014. 49. Baogang He, “China’s Responses to the Arab Uprisings,” in Democracy and Reform in the Middle East and Asia: Social Protest and Authoritarian Rule after the Arab Spring, ed. Amin Saikal and Amitav Acharya (London: I. B. Tauris, 2013), 162. 50. Sun 2016, 137; Li Xiao and Li Junjiu, “Meiguo de Baquan Diwei Pinggu Yu Xinxing Daguo de Yingdui,” Shijie Jingji Yu Zhengzhi, no. 1: 2014, 141. 51. Zhang Simao, “Qianxi Zhongmei Renquan Guan de Fenqi jiqi Qishi,” Xiandai Jiaoji, no. 6 (2016): 22. 53. PRC State Council, “Progress in China’s Human Rights in 2014,” June 8, 2015. 54. Zhang Simao 2016, 22. 55. Zhongwen Wang, “Daguo Zhanlüe: Guoji Zhanlüe Tanjiu Yu Sikao,” Financial Times, May 6, 2016. 56. Liu Jianfei 2016, 13, 15. 57. Liu Jianfei 2016, 15. 58. Wang and Lieberthal 2012, 11. 60. Wang and Lieberthal 2012, 12. 62. Wang and Lieberthal 2012, 12. 63. Chris Arnold, “Dalai Lama Meets With President Obama; China Objects,” NPR, June 15, 2016. 64. Patricia M. Thornton, “Looking East: China’s Jasmine Revolution in Comparative Perspective,” in Non-Western Encounters with Democratization, ed. Christopher K. Harst and Jan van der Lamont (London: Routledge, 2015), 144. 65. Edward Wong and Jonathan Ansfield, “Beijing Blames Foreigners for Its Fears of Unrest,” New York Times, May 8, 2011.